Scopus Author ID: 57194486633; Researcher ID: K-9955-2016. Doctor of Philosophy (Ph.D.), 2009. Human Movement Science (Kinesiology), School of Medicine, University of Catania, Italy. Master of Science (M.S. ), 2004. Human Movement Science (Kinesiology), School of Medicine, University of Catania, Italy. Bachelor of Science (B.S. ), 2002. Human Movement Science (Kinesiology), School of Medicine, University of Catania, Italy. 2017. Qualified to Full Professor in Human Anatomy (National Scientific Abilitation) with a score exceeding the three reference medians for the 05 (Biology) scientific area. 2017. Qualified to Full Professor in Sport and Exercise Medicine (National Scientific Abilitation) with a score exceeding the three reference medians for the 06 (Medicine) scientific area. 2017 to date. Member of the Scientific Committee of the School of the Sport "CONI" Sicily. 2017 to date. Rector's Delegate to Students Welfare, University of Catania. 2016 - 2020. Dean of the University Master in "Clinical Posture and Physical Exercise Sciences", Department of Biomedical and Biotechnological Science at the University of Catania. 2016 - 2019. Vice Dean of the Human Movement Sciences Faculty, Department of Biomedical and Biotechnological Science at the University of Catania. 2016 - 2019. Member of the Board of Directors of the Italian Society of Sports and Exercise Medicine. 2016 – 2020. Scientific Director of the Museum of Biology and Human Anatomy "Lorenzo Bianchi", Department of Biomedical and Biotechnological Sciences, University of Catania. 2015 - 2018. Member of the Medical School Committee at the University of Catania. 2015 - to date. Editor-in-Chief of the Journal of Functional Morphology and Kinesiology (ISSN 2411-5142) MDPI. 2014 – 2018. Member of the Biomedical and Biotechnological Sciences Department Committee at the University of Catania. Giuseppe Musumeci was graduated with top grades in Human Movement Sciences (Kinesiology), majoring in Biomedical Sciences (Prevention and Adapted Physical Education) from Catania University Medical School (Catania, Italy). He was then awarded a four-year grant for a Human Movement Science Ph.D. (doctorate). Also he carried out his research activity at the Department of Biomedical Engineering and Orthopedic Surgery, Johns Hopkins University, Baltimore (Maryland, USA); the AO Research Institute, Davos (Switzerland); and the Department of Orthopedic Surgery, Medical University of Graz (Austria). He is collaborating with several researchers and excellence centres in foreign and Italian universities. He is Principal Investigator or scientific collaborator in a number of Italian and international peer-reviewed research projects. Dr. Musumeci has been awarded national and international research prizes. He is a member in different Italian and international association of Anatomy, Histology, Kinesiology, Sport Medicine and Exercise. Since 2002 until today he has been Peer Reviewer in national and international scientific projects form 10 different Countries and European Community and in several international scientific journals (about 60), also he is editor in 11 international journals. Prof. Musumeci has been speaker and scientific director at several Italian and international meetings and co-author’s in several books manual regarding anatomy, kinesiology and musculoskeletal disorders. Prof. Musumeci have trained numerous Graduate Students and Postdoctoral Fellows. 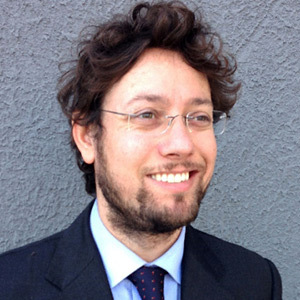 Currently he works as Associate Professor of Human Anatomy at the Department of Biomedical and Biotechnological Sciences, Human Anatomy and Histology Section, School of Medicine, University of Catania, Italy (www.unict.it). His major research interest are on morphological, molecular and biochemical aspects of osteoarthritis and musculoskeletal disorders and the relative effects of diet, ageing and physical activity. Others research topic of interest are, tissue engineering with the differentiation of mesenchymal stem cells from different sources versus a chondrocyte line for gain more insight into tissue regeneration and provide autologous implants with different types of scaffold materials and the correlation between physical activity, ageing and nutrition. Further areas of interest include, cardiovascular and respiratory medicine, neuroscience and cancer. In all his researcher he study different aspects of biological, molecular, histological, immunohistochemical, histomorphometrical and microscopical structure and relative histopathology information and new biomarkers discovery. His scientific activity began in the year 2004 and today consists of around 289 scientific peer reviewer contributions. Scopus: total citations > 1950; h index 27 – Google Scholar: total citation > 2800; h index 31. Anatomy, kinesiology, histology, histochemistry, histopathology, immunohistochemistry, immunocytochemistry, histomorphometry, fluorescence and electron microscopy, anatomical pathology, tissue staining, apoptosis, cell biology, molecular biology, tissue engineering, muscoloskeletal disorders, rehabilitation, physical activity, aging, nutrition.